A Twitter Masterclass that will turn how you think about PR on its head! "When I heard on the Twittervine that Carrie Eddins, PR Queen, had a Twitter Masterclass, I just knew it was going to be a doozie! Since my return to the UK just over 2 years ago, Carrie has helped me get more 'publiciTEA' for my business by being my eyes and ears, building relationships with journalists and looking for 'opportuniTEAs' for which I've been put forward for, using Twitter. I have been on TV, radio and national publications all down to Carrie's amazing work. If you want more publicity for your business, you need that Twitter Masterclass. Twitter (and Instagram to a lesser extent) is where the journalists hang out, so if you want to do it right, book now. You won't be disappointed." 1. You do not comment on what is happening now on Twitter. Media opportunities don't just happening behind closed doors purely over the phone, or via email. It's happening constantly live on Twitter and increasingly on Instagram. My clients have got media opportunities purely from a few well-written tweets! 2. You do not know how to properly comment on Twitter. Some people's comments on a news story are too extreme, divisive or just belligerent! Being too extreme in 2019 no longer cuts it. Get your point across without sounding like a psychopathic narcissistic; you need to be someone who can be open and receptive to other people's viewpoints. 3. You forget the media are watching you online. It's no good sniping at successful professional women across social media, and then expect them to work with you! Women are known to be thorough researchers; typically more compared than men. The same is with the media: they are watching you online, especially on Twitter. 4. You are following the wrong people. You wanted to be featured in Forbes magazine. You need to start following the right people for this, and commenting on their tweets, so that they get to know who you are. Also make sure you follow and comment on those who work for them, as you will get a far better results if you do. 5. You do not know where the media are online. It usually takes me a matter of seconds to locate a journalist online; yes really. If you want to gain media coverage this year, you need to know and see where they are online so that you can build a picture of who they are and what they are saying, so you can join in their conversation and add value to that. This hour long Twitter Masterclass will show you the main functions of Twitter; what the 'lightning bolt' means; how to effectively use the search bar; the best way to follow a live breaking story; the importance of hashtags, how to find them and the best way to use them and how to find the journalist you are looking for. 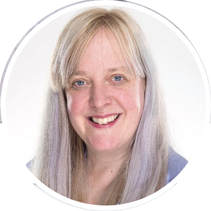 "Carrie has so much knowledge and experience of using Twitter, to help her clients be recognised in the media, it still amazes me how much I learn from each new training she does. I've used her tips and have had PR success including an appearance on BBC Breakfast. I highly recommend learning with Carrie. If you want to meet the media in the place they hang out in a way they like to be communicated with." Get ahead of your competitors by understanding how to use Twitter effectively for your PR! Can you afford NOT to watch my one hour Twitter Masterclass? "Carrie is a great connector on Twitter. She has an amazing ability to reach the right people and to be noticed by them. Her style on Twitter is so friendly and authentic. And anything she doesn't know about Twitter is not worth knowing. I've seen her deliver great PR coverage for her clients. And with her infectious style, she will make your learning fun!" Carrie Eddins has been chatting to people has ever since she was a child; it has always been something that came naturally to her, and nothing has changed. Carrie still loves a good natter with well pretty much anyone, anytime, anyplace and anywhere :) She has always been able to reach into people’s hearts and feel what they are feeling. She knows if they are speaking truthfully or not. Carrie is an excellent teacher and mentor when it comes to PR. I find her energy both grounding and enthusiastic and her approach to building connections a refreshing change. She took the "pain" out of Twitter for me and helped me see how it worked easily and effectively when you use the right strategy. Working with Carrie enabled me to get pieces in two national newspapers along with regular articles in Huffpost and Thrive Global." For only £45, this is an affordable event you surely must not miss. "When I started working with Carrie just over a year ago I was a Twitter novice. Sure I’d had an account for years and had sent the occasional tweet but I didn’t understand it as a platform and my account was more like a place tweets went to die than anything else. Through Carrie’s teachings I’ve learnt how to create and maintain relationships with the media that now recognises me as an expert in my field. I’m regularly approached by national and even international journalists for expert comments and opinion. I’ve gained prestigious corporate contracts as well as individual clients too that originated on Twitter so I couldn’t be happier with the progress I have made by raising my profile on this crucial platform. My twitter following continues to increase week by week and I’m thrilled by some of my industry’s influencers that are now following me and interacting with my tweets. All of this is due to following Carrie’s advice on how to communicate effectively. If you are looking to update your PR skills to grow your business and your credibility in the market this masterclass with Carrie is a must." How will the masterclass be delivered? Once you've paid, you will be directed to a thank you webpage with a link to register for the masterclass. This is being held on Zoom, so you if you haven't used Zoom before, leave enough time to install it on your computer before the start of the Masterclass. The link is only for you, so don't share it with anyone else, or you won't be able to participate. The cost is £45, payable through Paypal. A total bargain for the amount of information you will receive. Carrie will allow for questions at the end of her Masterclass, but Zoom provides a chat facility for you to submit any questions during the presentation. Yes, Carrie will record her Masterclass and send it to you after the event. Where can I find out more about The Blondepreneur? Ready to boost your PR skills?